Can Naim's new high-performance streamer improve on the standard of its own CD players? The number of digital streaming devices available to the hi-fi enthusiast continues to grow on an almost daily basis. Each player seems to have a distinct musical character and its own particular selection of features. Take the new Naim NDX, for example. This truly versatile machine provides network music replay, internet radio, digital iPod/iPhone connectivity and USB playback straight out of the box. Its integral DAC is available to external sources – CD players, set-top boxes and the like – through three S/PDIF inputs. There is also an optional module for any buyer who wants to include FM/DAB radio. The player follows Naim tradition in being performance-upgradeable through the addition of an XPS or 555PS power supply, along with the external Naim DAC. You should probably regard adding the DAC as an icing-on-the-cake move, because the integral DAC in the NDX is based on the same technology and its performance does not lag too far behind. It uses the same innovative, SHARC DSP-based buffering with fixed clocks, along with Naim's proprietary 16 times oversampling and low generated noise, digital filtering algorithms. The three S/PDIF inputs – two transformer-isolated coaxial and one buffered optical – will all accept signals at up to 24-bit/192kHz resolution. To stream music from computers and NAS (Network Attached Storage) units, the NDX uses the well-established UPnP (Universal Plug and Play) protocol. Naim has also written its own version of this for its sources, the HDX and UnitiServe, which can also act as UPnP servers. We tested the NDX using these and the more widespread Asset and Twonky servers installed on two NAS drives. The NDX will operate wirelessly 'for convenience' but offers its finest and most reliable performances when connected by wire. As Naim says: "Delivering music over a network is not difficult, but doing it well requires an attention to detail that is still surprisingly rare in today's market." If you are prepared to pay for a player that boasts numerous features including extensive isolation to ensure the pristine transfer of data, along with Naim's legendary exacting retentiveness about the smallest of details, why should attaching it by a length of Cat5 or Cat6 cable pose any problems? Using wireless with an NDX seems on a par with fitting remould tyres to a Lamborghini. The player will stream WAV, FLAC, AIFF, AAC, Windows Media formatted content, ALAC (from iPod), Ogg Vorbis and MP3 files from any appropriate UPnP server or USB-connected storage device. The iPod connection is especially noteworthy: it is Apple-authenticated and it bypasses the DAC in the device and feeds a digital signal directly to the NDX and its rather more sophisticated and painstakingly optimised Burr-Brown PCM1791A DAC circuitry. This, for example, uses very similar RAM buffer and master-clock jitter-removal techniques as the 'big' Naim DAC. The NDX, like other digital components in Naim's range features a Ground Selector switch that needs setting according to the rest of the components in your system to avoid earth loops that can, in the worst case, cause audible humming or, in less severe instances downgrade the sound. It has two options: to connect the earth to the chassis or to leave it 'floating'. If you have a Naim CD player in your system, the floating selection is correct for all other Naim components where a choice is offered. If you are including the NDX in a predominantly non-Naim system, you'll need to take you dealer's advice or trust your ears. The NDX is housed in a 'Classic' range, non-magnetic aluminium case, like the HDX hard-disk player, XPS power supply and the Naim DAC: so it is a substantial piece of gear and requires placing on its own shelf on an equipment rack. Whether that shelf is at the top or bottom really depends upon your aesthetic sensibilities. If you like black minimalism, perch it on the top shelf. If you do not, lower down will be fine but, either way you'll find it easiest to control with the n-Stream iPhone app. The internal construction is as impressive and neat as we have come to expect from the Salisbury factory. The attention to detail is painstaking, especially the way in which the wiring is so tidily dressed and precisely routed. Those tiny details might add little to the performance individually, but in combination with the rest their contribution is remarkable. Its value for money might seem questionable when compared to streaming devices from other manufacturers and, indeed, Naim's own products such as the UnitiQute, but one has to remember that the NDX is more than just a streamer. Its high-quality DAC can be shared with other devices that can exploit its outstanding performance. Naturally, the NDX offers several control options, including front panel buttons, a remote control handset and (the slickest as far as we are concerned) app for the iPhone/iPod Touch or iPad. An industry visitor sat and auditioned a few rips on the NDX and admitted: that although he had "never understood all that pace, rhythm and timing stuff" it now made perfect sense. In essence, he walked into the room as a hard-core hi-fi nut, but left as a toe-tapping music lover, with a far more fulfilling appreciation of what makes music so captivating when it is sympathetically reproduced. The NDX is certainly sympathetic and is so right across the board: it seems completely musically agnostic, even to the point of relishing high-quality examples of the country genre; the likes of Willie Nelson, Emmylou Harris and Caitlin Rose. A major appeal of the NDX is that it manages to combine the traditional Naim temporal fluency, with the cosmetic depth and richness that one normally associates with predominantly American high-end equipment. We were surprised to find ourselves concentrating on the timbral qualities of instruments and voices while listening. It effortlessly brings out the single-coil pick-up sting of a raw Telecaster guitar, while being equally effusive about the complex harmonic texture of rosin-coated bows on violins and cello in a string quartet and vividly contrasts the differing tonalities of modern and ancient horns in orchestral ensembles. Despite the straightforwardness with which the NDX reveals all these fine distinctions and nuances, there is never any impression of the sound being at all disjointed or chromium-plated, a problem that befalls much hi-fi equipment in its attempts to convey detail. The NDX manages to sound natural and unforced at all times and this makes it easy to listen to music that could never be described as 'easy listening'. Helping it in this respect is a very well-balanced frequency response with an explicit, but controlled performance, particularly at the extremes of the spectrum. The Telecaster 'sting' is truly apparent, but never offensive or grating; it simply has the realistic incisive tone and resonance of a cranked Tele' over-driving a small valve amplifier head. Meanwhile the bottom end displays quite awe-inspiring power through the Naim DAC, which is itself no shrinking violet in this respect. This pays dividends with bass lines like that on Money for all on the David Sylvian album Sleepwalkers and less overtly so on works such as José Carreras' Misa Criolla, where it creates a truly atmospheric and dramatic impression of the recording space. Its portrayal of vocal harmonies is sublime. The voices of Caitlin Rose and backing singer, Rayland Baxter gel magically on Shanghai Cigarettes and add a genuine frisson to the song. And that, after all, is what great hi-fi is about: delivering emotional buzzes that make you feel rewarded. The NDX manages that none-too-easy task with alacrity. In truth, it is vividly revealing of the quality and character of voices, which readily enhances its portrayal of all vocal music. It is a genuinely expressive piece of machinery that not only articulates the words a singer uses, but also communicates the emotions behind them. 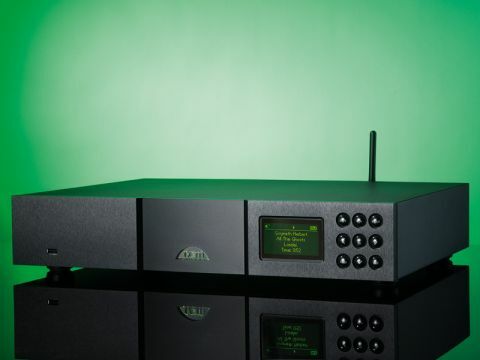 All things considered The NDX is a classic Naim Classic product that retains all that range's traditional communicative musical personality traits augmented by strong leanings toward the cosmetic presentation favoured by the high-end scene. It's an interesting, rather than schizophrenic mix that might well attract new buyers to the Naim fold. It also has a respectable amount of life style appeal thanks to its slick operation with an iPhone/iPad app and its meaningful integration with iPod products. Ultimately, though, it is the superlative and supremely communicative performance that makes certain it stands out from the crowd.